Though EAGO toilets have not featured among the best in the past years, they are currently getting more and more attention from the buyers. Apart from the environmentally friendly design of the EAGO Toilets, the manufacturer has incorporated extra appealing features which have propelled these brands to make it to the top selling brands in the market. One of the features which have generated high definite appeal among the buyers is the efficient flushing system. 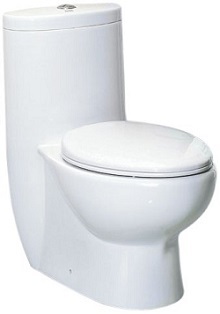 This high flushing toilet efficiency is ensured by a powerful flushing valve fixed to the toilet. Another feature which will most likely interest you is the wide bottom surface which provides that the toilet odor is kept at the minimum levels. Below is a compilation of the top 4 EAGO toilet reviews which will most likely match with your preferences. 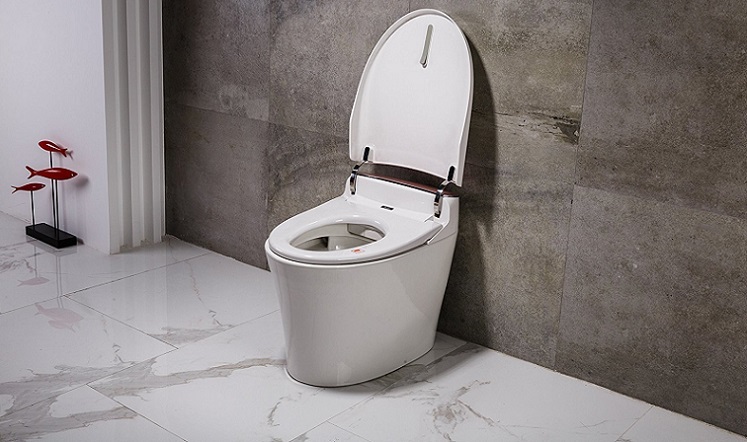 EAGO TB336 model has a rectangular design, a rare design among the traditional toilets. This gives you one of the reasons why this model made it to the top 4 EAGO toilet. The elongated rectangular bowl is designed to facilitate the delivery of high flush pressure thus ensuring that your toilet is left sparklingly clean. After mentioning that this toilet is rectangular, you might have started to worry about acquiring a fitting toilet seat cover for this model. You need not to worry about the toilet seat cover, as this model comes with its own toilet seat cover. The cover has 4 add-on studs to ensure a soft closing and avoid the usual noise which is produced when closing the toilet cover. If you buy this toilet model, you will reap several benefits. One of the amazing benefits which you will get with this model will give you satisfaction warranty with the flushing system. You will also get an amazingly long time warranty against the fading of all the porcelain parts. Most buyers are keen on getting a toilet which will save the water but at the same time achieve high flushing efficiency. This toilet does it for you. It has a water consumption rate of 1.28 GPF which is far lower than that recommended by the Federal Authorities. Maybe the only feature which may not appeal to you is the size of this toilet. It has a size of 27.8 inches high and a breadth of 16. 8 inches. Thus it may appear a little patched when fitted in large toilets. But, this alone cannot disqualify this model from featuring in the top EAGO toilet. 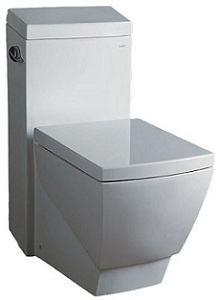 This toilet model made it to the top choice EAGO TB309 Tall toilet because of several features which were identified. Unlike the model described above, this model has a dual flushing system. The first button gives out 1.6 GPF which is most suitable for solid waste while for liquid wastes there is a flushing button which when pressed gives out 0.8 GPF. A similar feature traceable to the EAGO TB336 model is the powerful flushing valve which delivers high-pressure water ensuring that the solid waste is effectively flushed from the toilet. This high efficient valve also curbs the problem which was common among the ball-chain flapper flushes. To ensure that the wide bottom water surface does not affect the flushing efficiency, this model incorporates a balanced and leveled water distribution. This regulates the water exit velocity and matches it with the increased surface diameter. For the homeowners who have a relatively large to medium toilets, this is the best selection for you. The toilet has a size of 28.4 x 16 and a height of 30.8 inches. Added to this, its tube-like structure gives you more placement options than the first model which is rectangular. If you love the durability, efficient water management, and high-end aesthetics, then this model is the perfect choice for you. The tower flushing mechanism will help you save on water, while the absence of the chain and flapper flushing system will reduce the risk of snapping and increase durability. With a semi-circular bowl and a short water tower, this model best suits those who love out of ordinary designs. It’s not only its aesthetic look but also the unique EAGO TB351 toilet features accompanying this model which made it appear in the best EAGO toilet. Considering its size of 26.6 x 15.1 x 26.6 inches, this contemporary toilet model will aesthetically fit in small to medium toilet rooms. Thus if you eager to get a stylish and modern toilet for your home making needs, then this model will be most appropriate. The drawback of this toilet only comes during the installation. Once the seat is installed before making a connection to the waste delivery system, it becomes difficult to connect the rest of the plumbing work after that. Thus it’s advisable that you request the services of a plumber during installation. Overall, this is a high-quality model offering nearly all the specs which homemakers could be looking for. If the top needs for your toilet needs are a water saving dual flush system, medium-sized toilet, and a soft closing seat, then this model perfectly fits your needs. 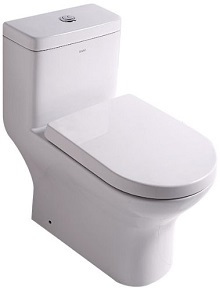 The EAGO TB353 model combines a semicircular and the rectangular features of the model highlighted at the beginning of the toilet reviews (Model EAGO TB336). It has a semicircular toilet seat and a medium height rectangular water tank. Though the design may seem to be contemporary, the stylish combination of the rectangular tank and the semi-circular seat makes it stand out. Its cleaning is also easy. You will be able to clean this toilet even without removing the toilet lid. 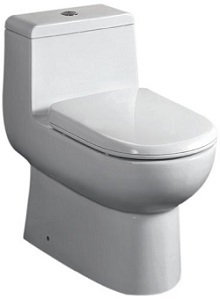 One incredible feature which you will like with this toilet is that is has a powerful and effective flushing mechanism. You will not need to press the flush button more than once to clear the wastes. This increases its maintainability and will save more on water. The negative aspect of this EAGO toilet is the seat though to some it will be more of fun than a derailment. The seat is reasonably comfortable but not the high-end comfort which perhaps you may be expecting. This is not a big glitch as the toilet seat lid is removable and you can, later on, replace it with a more comfortable seat cover. In summary, EAGO toilets are designed to meet most of the buyer needs. Though the exterior may not be what most people think to be the common standard toilet, the unique shape, color and the general appearance of these brands make them stand out among the competitors. Also, the functionality and the distinctiveness of each brand renders EAGO toilets to rank as one of the best in the market. A few buyers will have varied tastes. However, the most important thing to do while deciding what to buy is to compare the different features and gauge the benefits in the long term. In this EAGO Toilet reviews, the best effort has been made to guide the buyer in identifying the perfect toilet for their varied needs. The final choice remains with the buyer.